It is not a secret I love the patterns Suz from Sewpony Vintage designs. To date I have made five Debbie's Birthday dresses. I felt like I was a superhero after making the Cosi Swimsuit for Little Monkey. 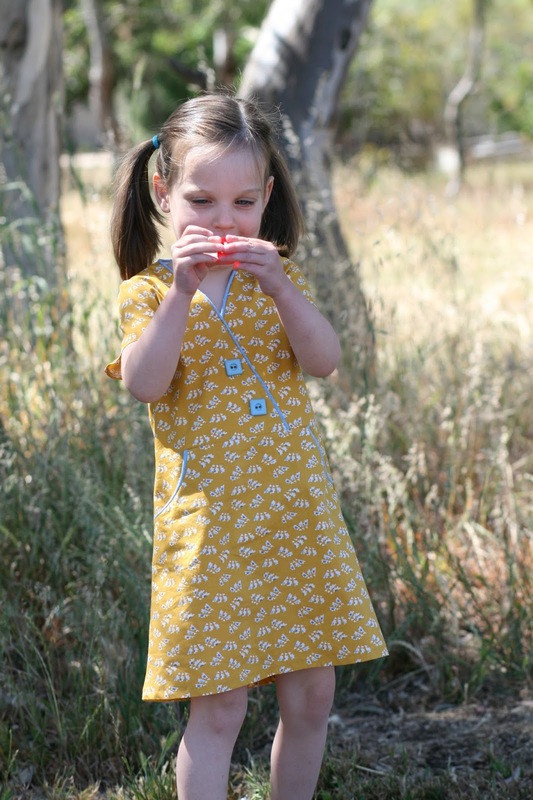 While she was sleeping I made the latest pattern by Sewpony Vintage - the Sunday picnic dress. It is such a cute dress. 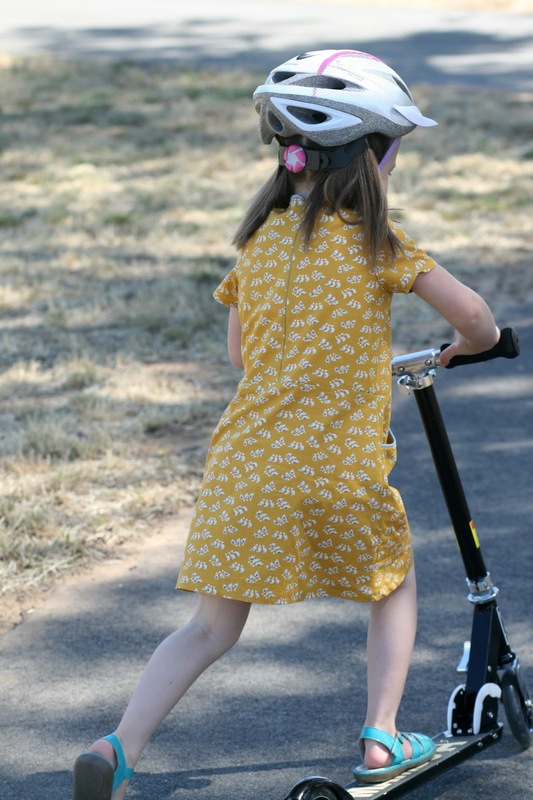 I fell in love with it when Suz first introduced the pattern on her blog. It has such a beautiful vintage feel about it. This pattern can be made for any season as it offers long, cropped of above elbow sleeves, or sleeveless. Add a collar and you will get a different look. One can use various embellishments to jazz up the dress, or keep it simple. The bodice of the dress is lined. The dress closes with an invisible zipper, and there is no hand stitching required. 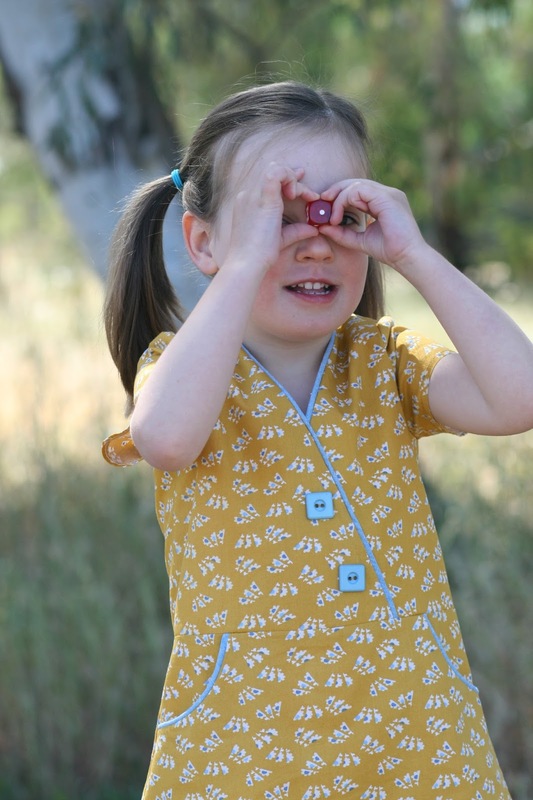 As we are heading towards summer I made a short sleeve version of the dress to help protect Little Monkey's shoulders from the harsh Australian sun. The pattern offers above the elbow sleeve length. I just made it shorter. Yeah I know I am genius. Pockets. 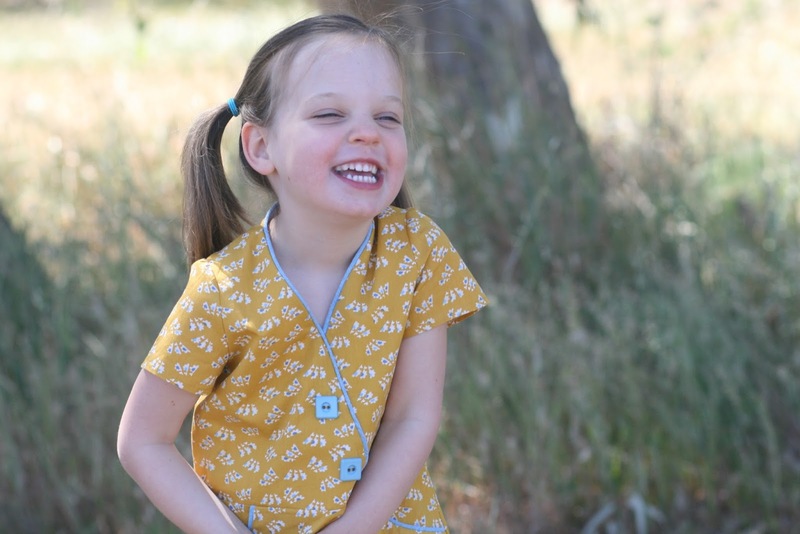 Little Monkey's clothes has to have pockets! How else will she be able to carry her cars and collect treasures such as leaves, stones and gum nuts that she calls doughnuts? The world is a brighter place if you look at it through a red dice. Oh c'mon, if my four year old daughter says so, who am I to argue? I love it when Little Monkey participates in the process of making her clothes. I chose the fabrics for this dress. Little Monkey picked the buttons. Well, I had two options lined up for her to choose from, but she insisted we looked through all the buttons to find better ones. We had so much fun sorting out a huge jar of buttons by shapes, colours and sizes! 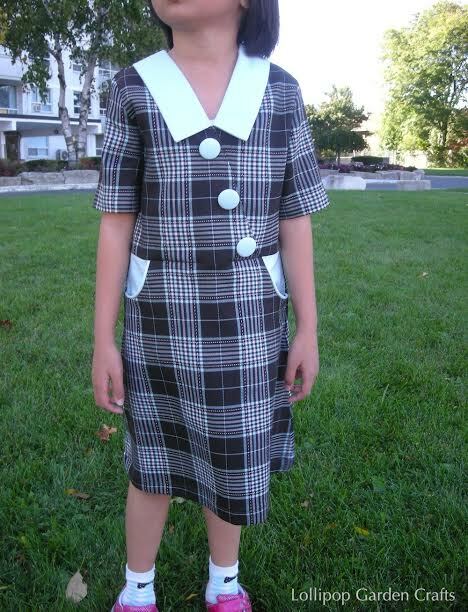 She eventually declared that square buttons were her favourite. I love piping, so I could not pass the opportunity to play with it. I wanted to save time and use store bought bias tape to make piping, however finding a matching shade of blue proved to be impossible. After wasting time going shopping for bias tape I ended up making my own. I actually stuffed up my piping. Once I sewed up the bodice I wanted to cut the cord out of the piping casing from the inner bodice piece, that is hidden. I pulled the cord out as far as I could and chopped it off... and realised it was the outer bodice piece... oops... I considered that a practice go and repeated the procedure on the inner bodice piece. The dress closes with an invisible zipper. I know it is a deal breaker for a lot of people. I am not a fan of zippers myself, but hey, if I can do it, so can you! Suz gives very clear instructions on how to insert a zipper. Speaking of instructions, they are very clear and well written, accompanied by photos. The pattern is well designed, all pattern pieces have notches, so everything lines up perfectly. The pattern is aimed at the intermediate sewist. I consider myself an adventurous beginner, and look - I made the dress without any hassles. 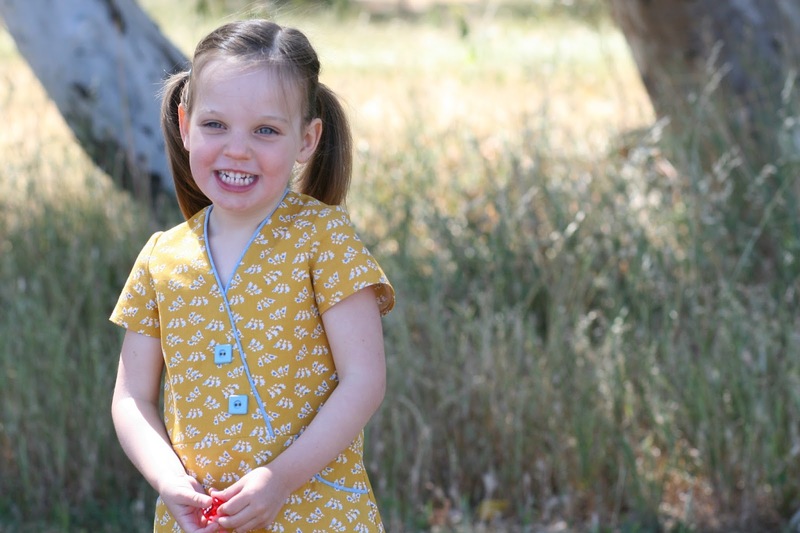 Little Monkey loves her new Sunday picnic dress, and I do too. Thank you very much Suz for inviting me to be a part of the pattern tour. I have two lovely tour buddies today. This is Annika's gorgeous creation. You can read more about her version of the Sunday picnic dress here. 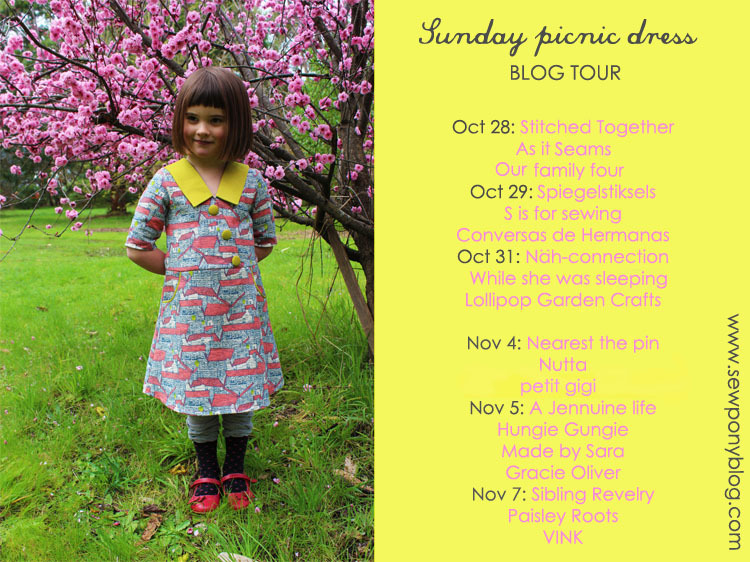 I love this version of the Sunday picnic dress that Yeka has created! You can read about it here. 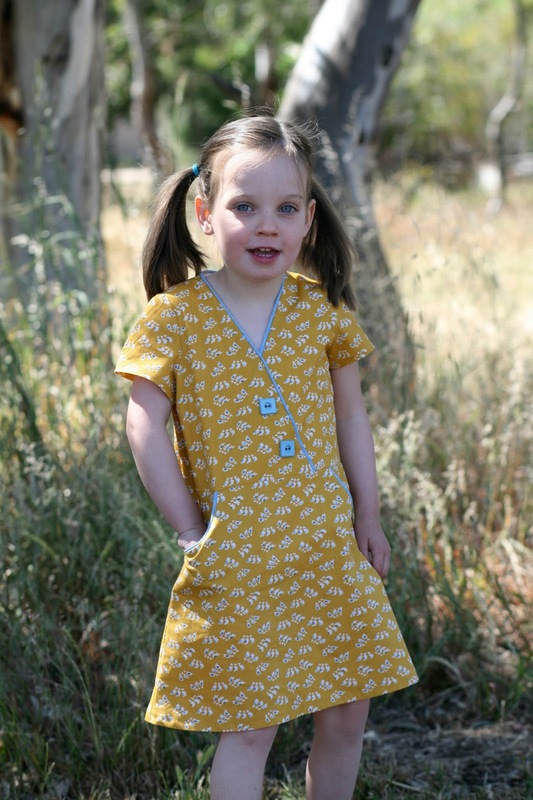 If you would like to see more versions of this dress, please visit other pattern tour participants. 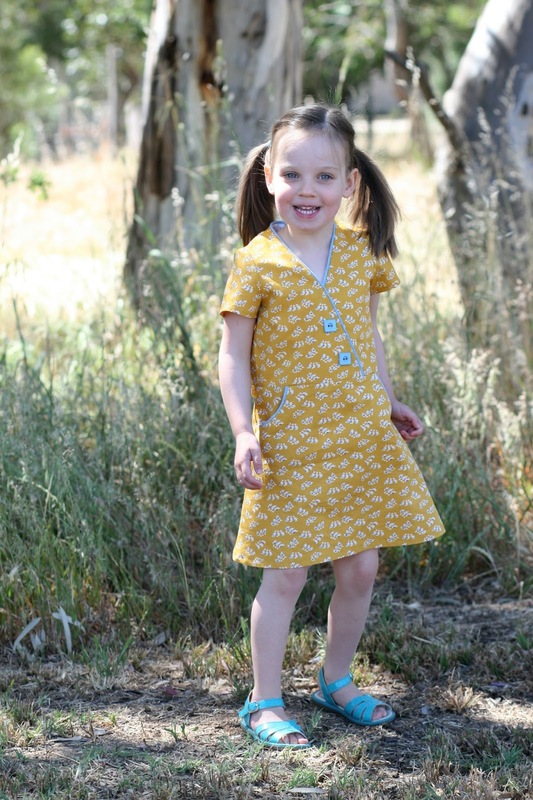 For the duration of the tour Suz is offering a 15% discount on the Sunday picnic dress pattern with the code SUNDAYTOUR15. Have fun sewing! Adventurous beginner?? I don't think so Jenya :) No one who whips up their own piping is any type of beginner in my book. I LOVE the colour combination that you and LM have chosen - teal is my all time favourite. 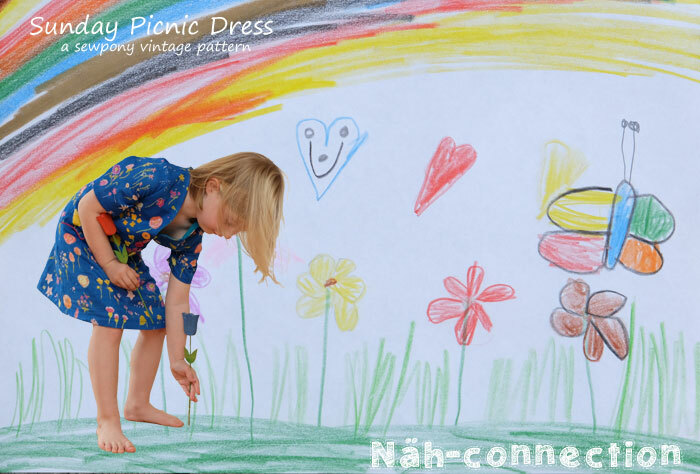 A beautiful Sunday Picnic Dress!! Thank you Renee :) Whipping up my own piping is quicker than trying to find a coordinating bias tape! I am going crazy over mustard yellow at the moment. Mustard yellow, totally my cup of tea! I love your version of this dress. Your daughter has impeccable taste!! That dres sis soo beautiful! I'm a total sucker for yellow! And together with blue it's jsut perfection! Plus as always your daughter's bright smile, makes the pictures even more beautiful! 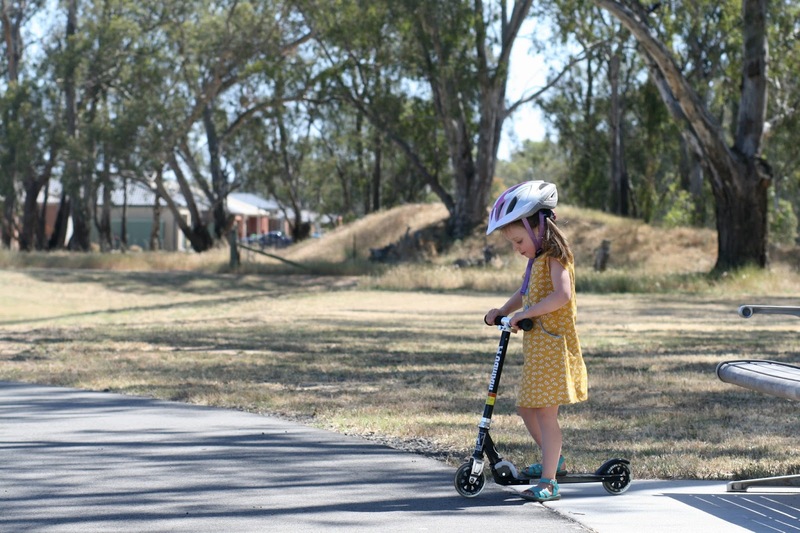 And Renee is right: You are definitely no beginner anymore! Thank you for your kind words Annika. I think we can start a conversation about our skill level and how we define beginners, intermediate and advanced sewists. To me, an intermediate sewist is someone who has courage to tackle various fabrics, while I still mostly sew woven. I would expect an intermediate sewist to use various sewing and finishing techniques, and I don’t. I can definitely see improvement in my skills, but I still have so much to learn and try! It's really lovely jenya!!!! I love the colours and the square buttons too! Thank you!! So sweet! I can't believe how big LM has gotten. I'm so in love with this pattern! And I'm even more when I see these kinds of creations on my screen! One of my next projects, for sure! Such a sweet dress! I absolutely love it! Really cute dress. I love the piping & the buttons & the words of wisdom from a 4 year old. Thank you Joy. Four year old are the funniest! The dress is so cute and beautifully made! I love the yellow and blue color combo, and those square buttons are perfect! Your little girl has great taste!